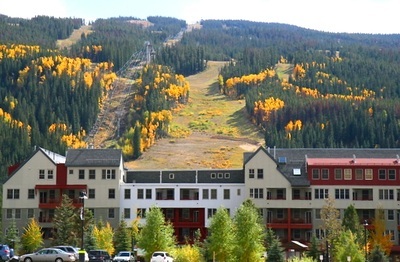 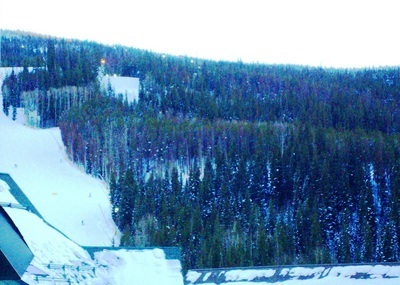 Silver Mill Lodge is located near the base of the River Run Ski Slope. 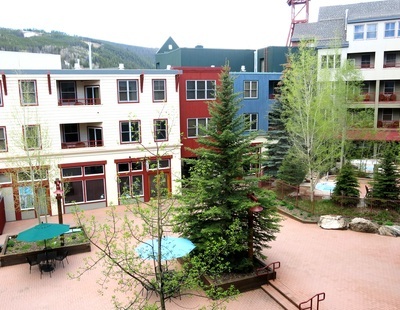 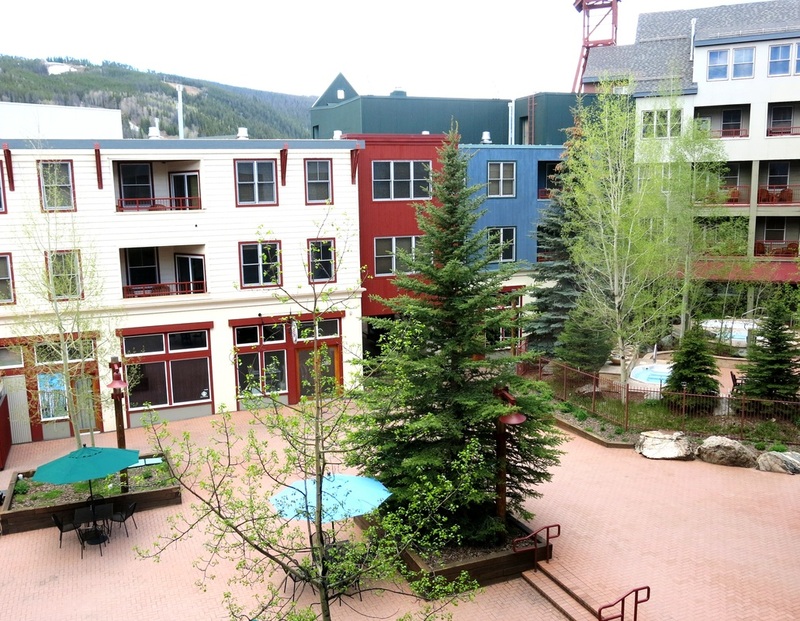 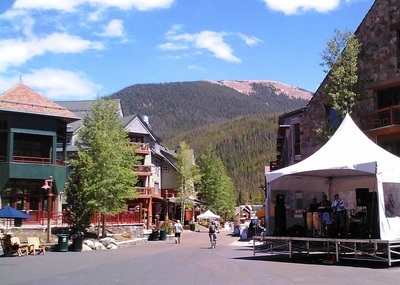 Close to Restaurants, Shops and Starbucks in the River Run Village. The comfortable Living Room offers a large Queen Sleeper Sofa and leather Chair/Ottoman. 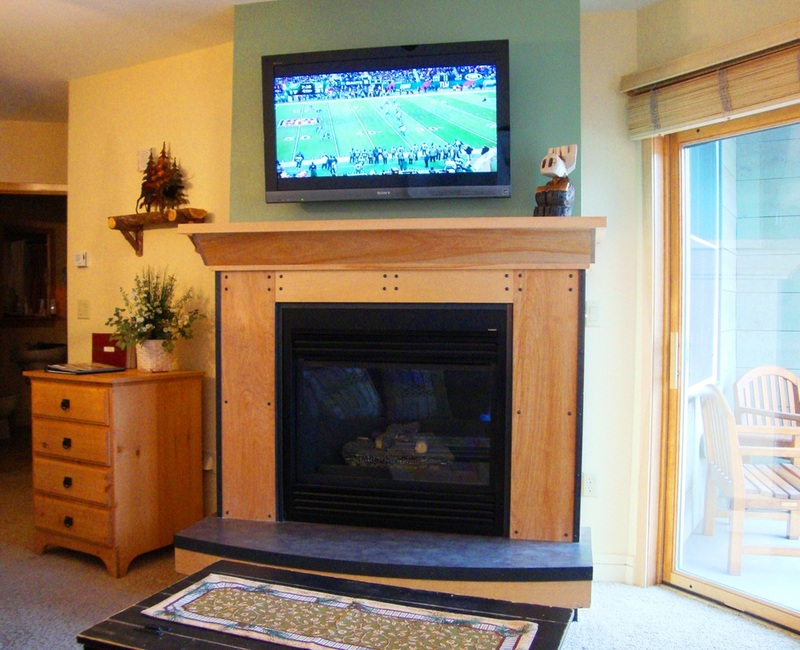 A 40" flatscreen TV sits above the cozy gas fireplace. 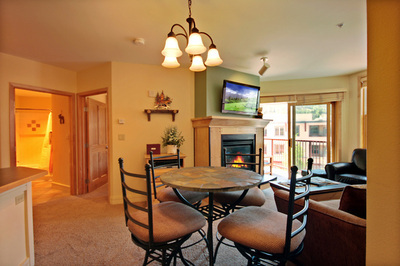 The Dining Area, with round table and 4 cushioned bar stools which can be used at the countertop as well. 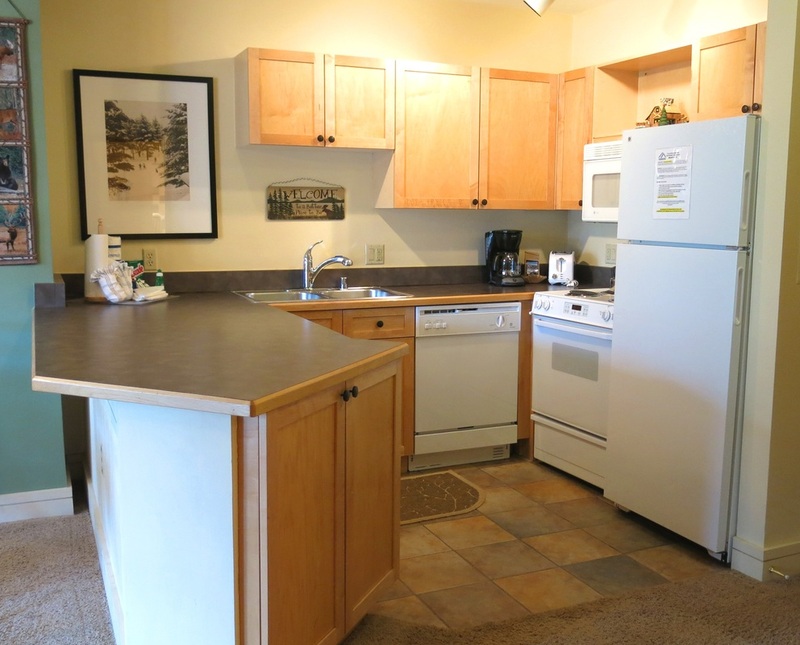 The full Kitchen offers all the equipment you need to cook a meal, including a Refrigerator/Freezer, Range, Microwave, Dishwasher, Cookware, Dishes and Utensils. 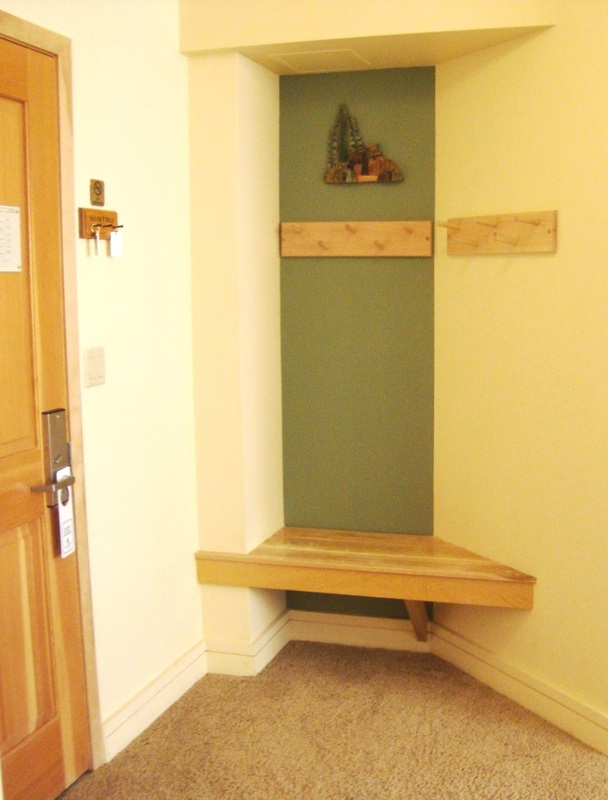 The welcoming Front Entry offers a convenient bench and coat hooks. The Living Room, Dinette and Kitchen separate the Master Bedroom Suite from the Second Bedroom and Bathroom. 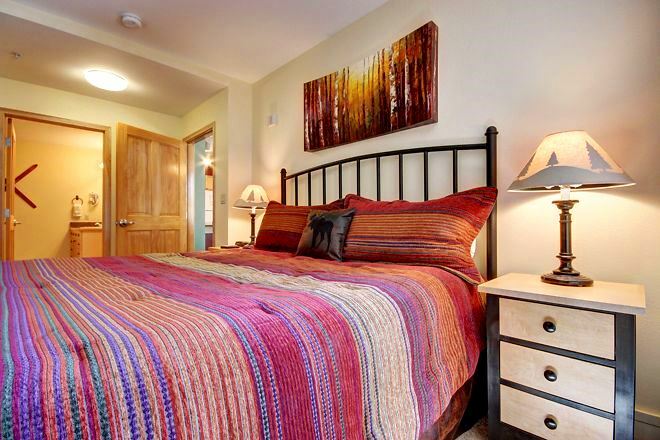 The Master Bedroom is a spacious retreat with a plush king-size bed and attached full bathroom. 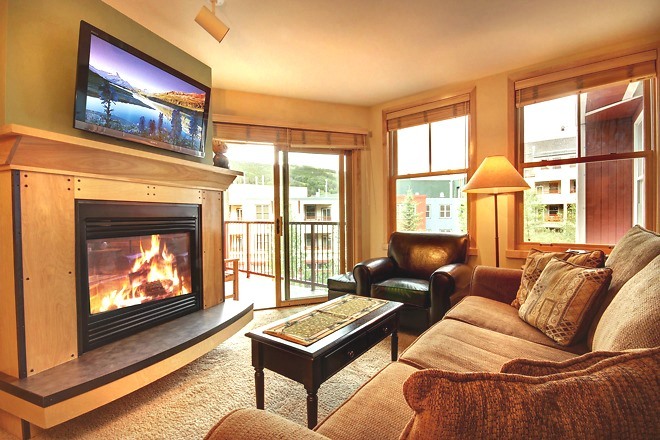 It includes a TV and a view of the River Run ski slopes. 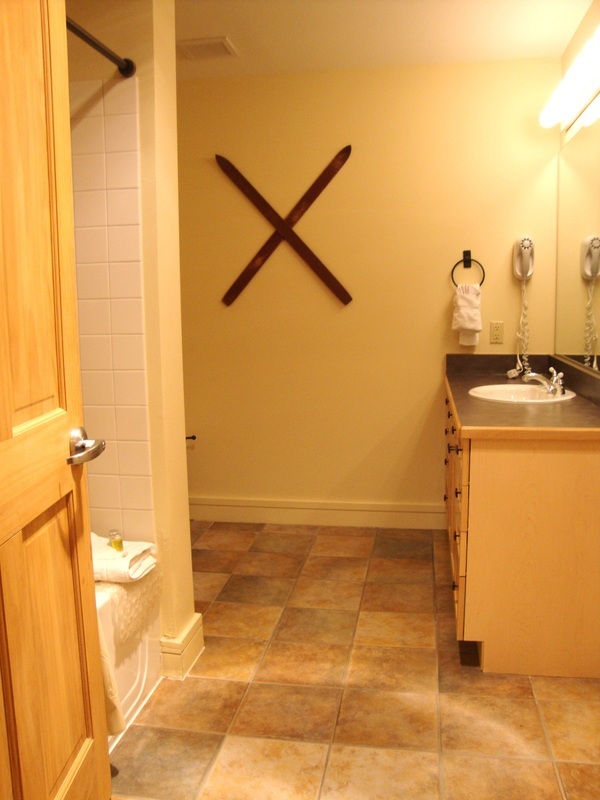 The 4-piece Master Bathroom is spacious and comes with a hair dryer. 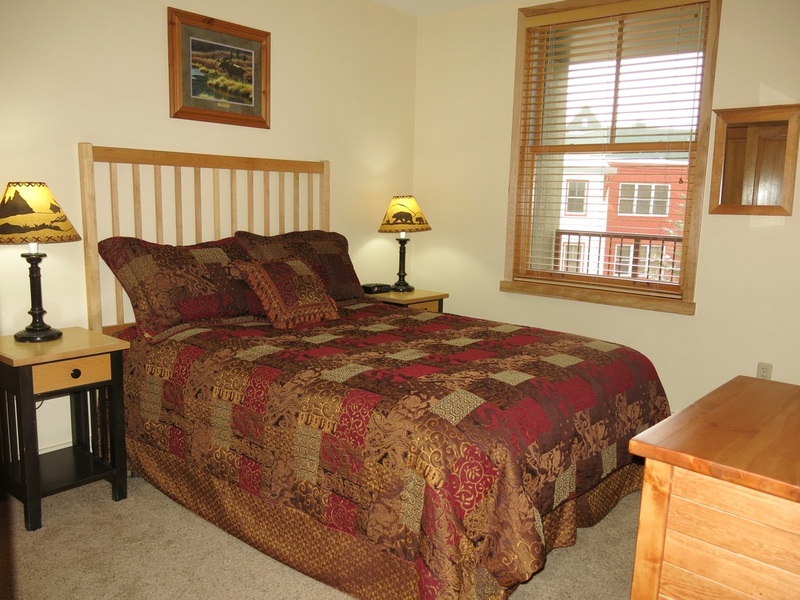 In the Second Bedroom, a firmer plush queen-size bed with TV overlooks the balcony with a courtyard view. 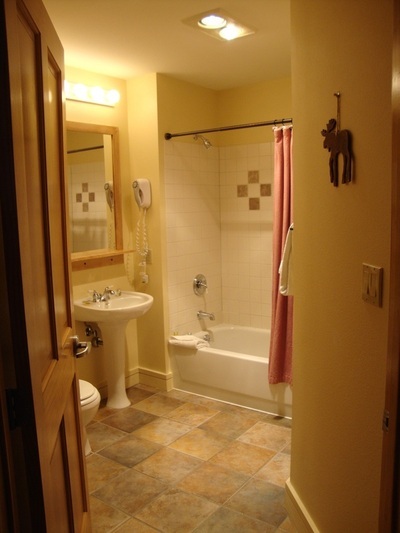 The Main Bathroom is next to the second bedroom. 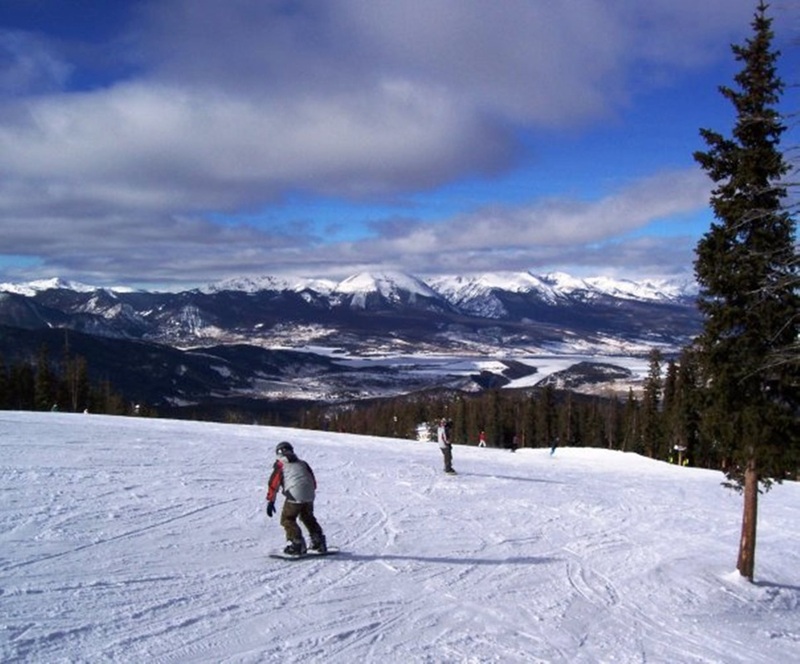 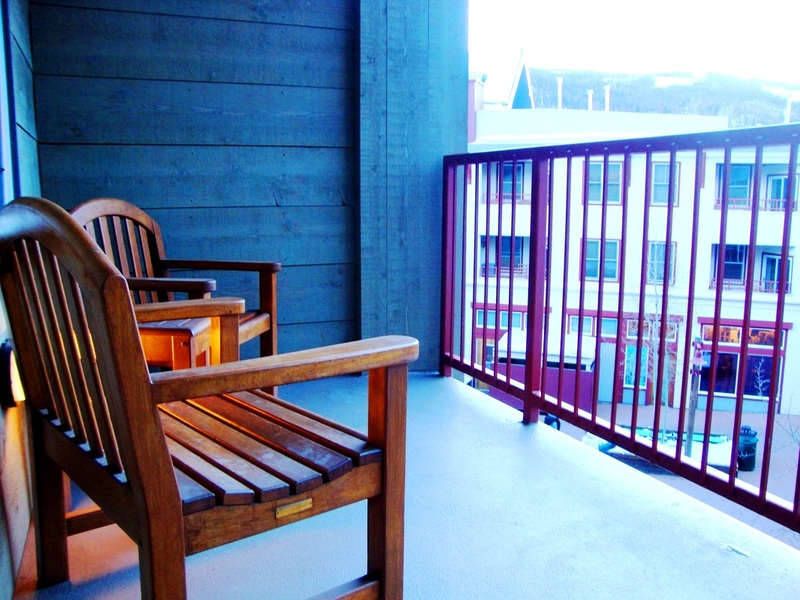 Walk out onto the balcony and enjoy the fresh mountain air. 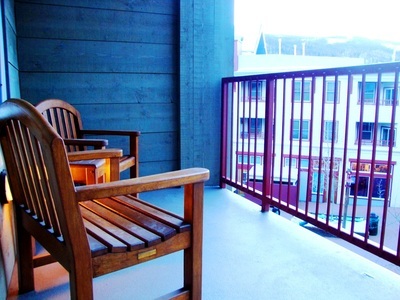 Enjoy a nice ski area view over Silver Mill's courtyard. 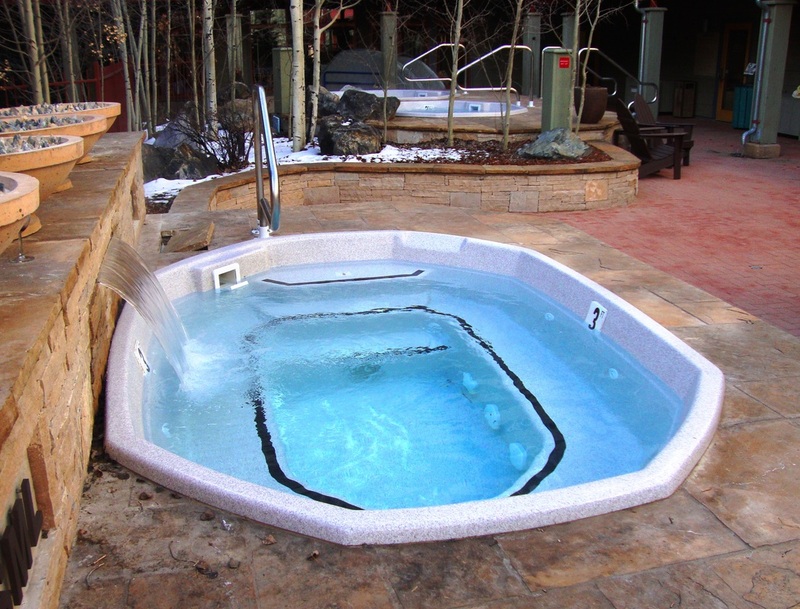 There are three hot tubs, one with a waterfall, in the Silver Mill courtyard. 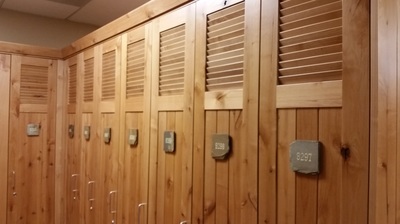 A sauna is located just inside the building. 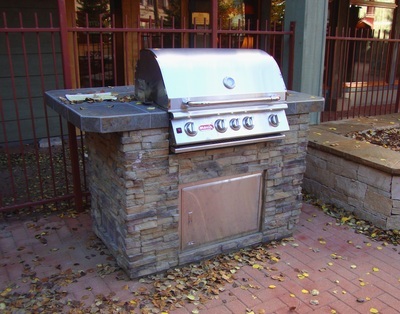 Enjoy cooking on the barbecue grill in Silver Mill's own courtyard. 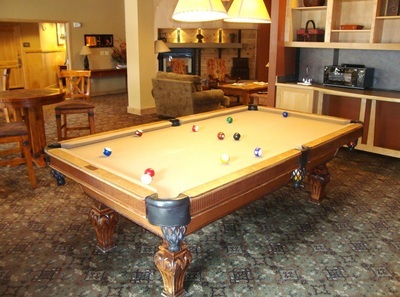 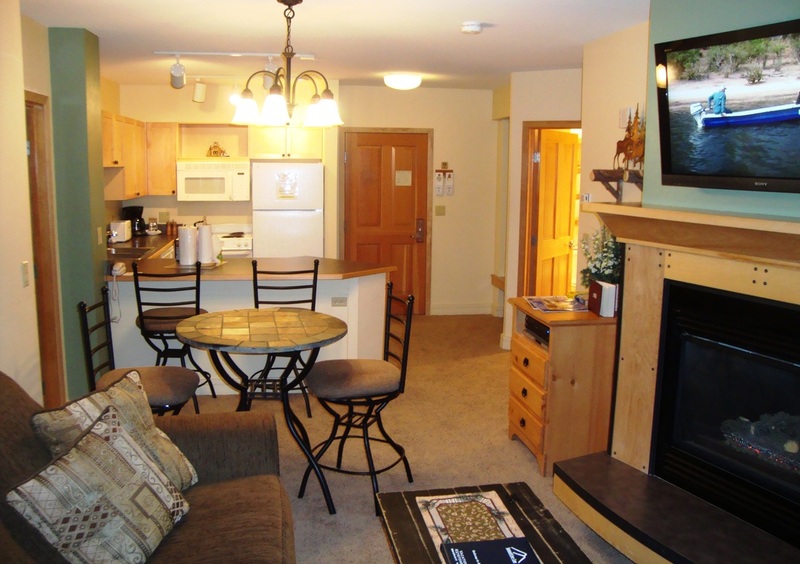 The Silver Mill Lobby offers a free-to-use pool table, mini-fridge, TV and fireplace, and comfortable seating. 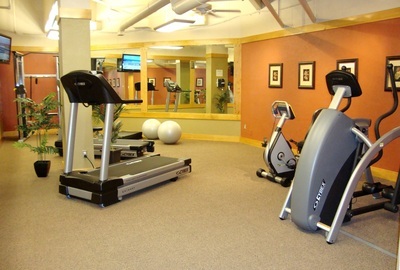 Silver Mill's Fitness Room includes an elliptical trainer, exercise cycle, a nautilus, and two treadmills. New Ski Lockers in 2016! 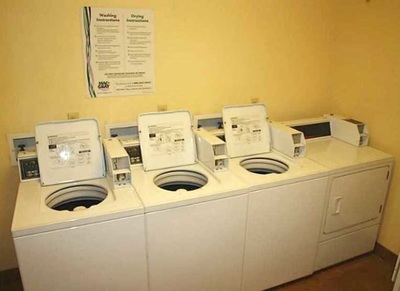 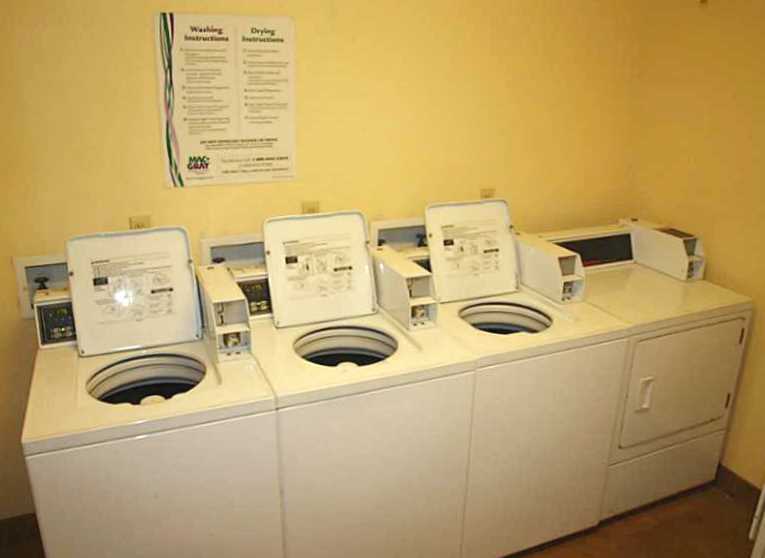 Coin Laundry Rooms are located near the elevators. 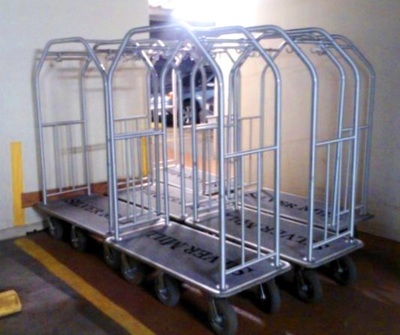 Luggage Trolleys are conveniently available in the Silver Mill garage. 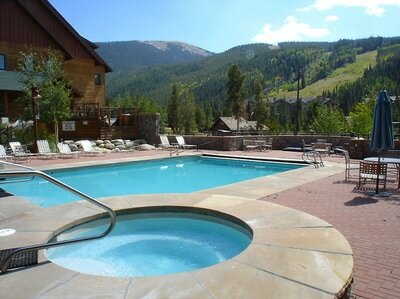 You'll have year-round access to Dakota Lodge's Heated Pool and Hot Tubs, just a short walk away. 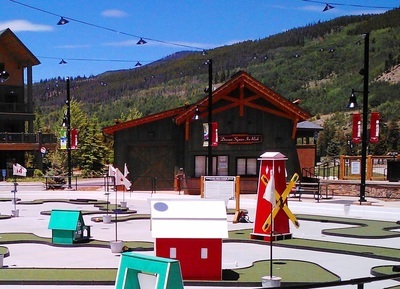 Miniature Golf in the Summer, and an Ice Skating Rink in the Winter... in River Run Village.